The Demanding Mistress: “Material Facts” and “Material Particulars” : How Do They Differ? “Material Facts” and “Material Particulars” : How Do They Differ? Pleadings in a suit, which refer to either a Plaint or a written statement, form the grist for further proceedings. Levity in the way one presents one’s case in writing can come back to haunt a party who does not think through his pleadings. Order VI of the Civil Procedure Code, which deals with pleadings, uses “material facts” and “particulars” in different places. Are “material facts” and “particulars” synonymous with each other? Basic rules of statutory interpretation clearly tell us otherwise. Rules of interpretation aside, I would say that even common understanding of English tells us there is a clear difference between “facts” and “particulars”. “Facts” would refer to the broad situations which give a clear picture of the dispute. Obviously “material facts” would mean those facts whose mention is an absolute must for a party to establish his claim to a relief he seeks. “Particulars”, on the other hand, could refer to addition of greater details to the facts, which refine the picture presented by the facts. Naturally, absence of clear pleadings on material facts in a Plaint could justify the moving of a motion under Order 7, Rule 11 by the Defendant for failure to disclose a cause of action. As stated in an earlier post, accrual of a cause of action is tied to an act or a fact. Absent any averment on such acts/facts, how can a party justify or claim accrual of a cause of action? Therefore, absence of material facts prejudices a party’s case at the outset, whereas absence of material particulars may be cured subsequently. “The distinction between "material facts" and "material particulars" is important because different consequences may flow from a deficiency of such facts or particulars in the pleading. 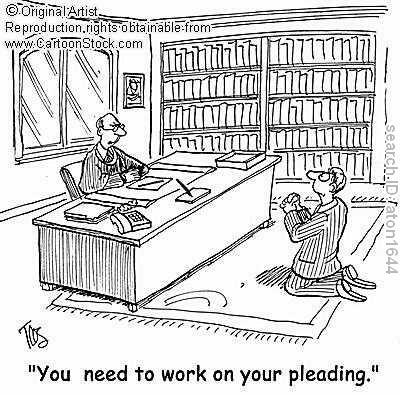 Failure to plead even a single material fact leads to an incomplete cause of action and incomplete allegations of such a charge are liable to be struck off under Order 6, Rule 16, Code of Civil Procedure.